Breaking a key off in your ignition or locking your keys in your vehicle can turn a good day into a stressful one. Danny’s Lock & Key’s full-service mobile locksmith can come to you any time of the day or night to help you get back into your vehicle and on your way. Our professional, certified, and insured auto locksmiths can service any make or model vehicle, including motorcycles. From car key replacements to door and ignition lock repairs, we can handle all of your automotive locksmith needs when it fits your schedule. Generate motorcycle keys. We’re the only local locksmith who can do this! If you’re having problems with your vehicle’s locks, our full-service mobile locksmith is on call 24 hours a day and can meet you at your location to provide fast, friendly, and professional service. Danny’s Lock & Key provides fast mobile automotive locksmith service to Habersham, White, Banks, Hall, and Stephens County and anywhere else near in Northeast, Georgia. We are available 24 hours a day, 7 days a week. 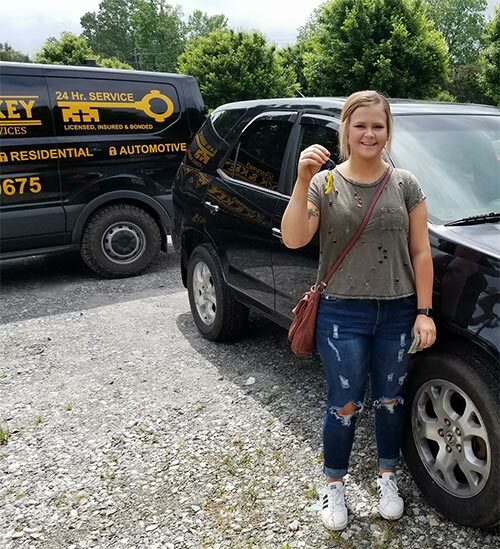 A happy customer with the new keys we made for her ’02 Acura MDX. 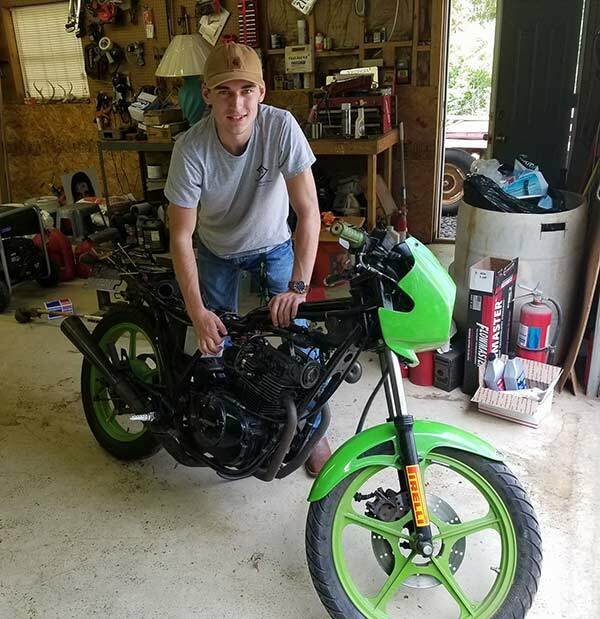 Made keys and rebuilt locks on this 1983 Kawasaki EX300 in Cleveland. Danny’s Lock & Key is the only local locksmith that can generate motorcycle keys.